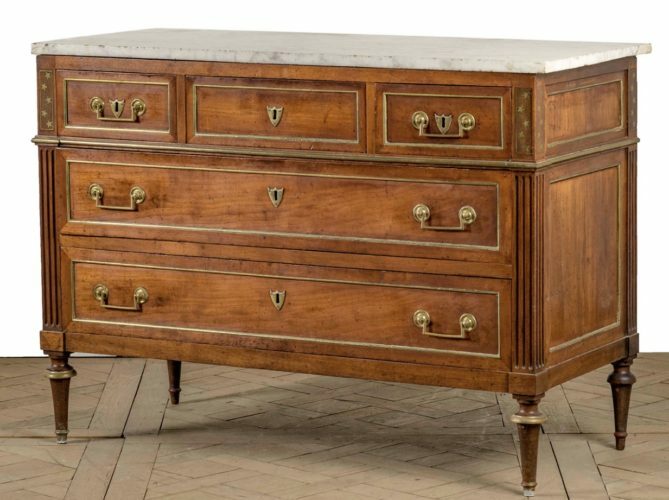 A Louis XVI Period brass inlaid fruitwood commode, original condition. France. Circa 1785. 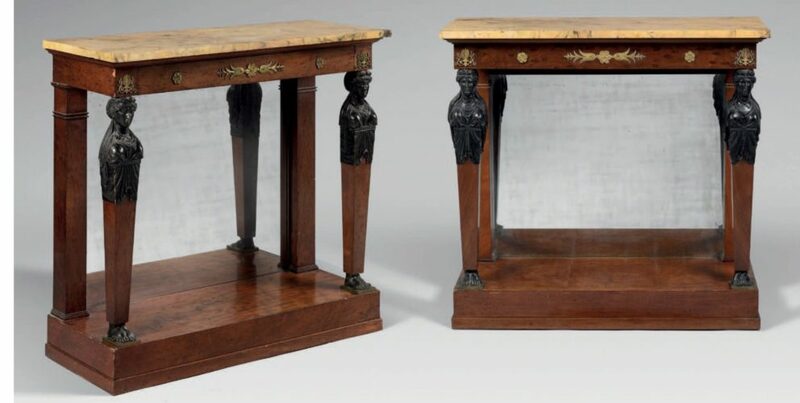 A fine pair of first empire period console tables. France. Circa 1810. 17th, 18th & early 19th century furniture & decorative objects. 20th century glass & modern art.